Aliiolani Hale, which means "House of the Heavenly King" in Hawaiian, is an old government building commissioned by King Kamehameha V in the 1870s. It was previously planned to become a palace but Kamehameha V changed his mind and decided to make it the seat of government of the Kingdom of Hawaii, and later on, the Republic of Hawaii. However, Kamehameha V died before the building was completed. His successor, King David Kalākaua, oversaw its completion in 1874. The building was designed by Australian architect Thomas Rowe in Italian Renaissance Revival style and was criticized for its extravagant design. It housed the executive departments of the Hawaiian government as well as the Hawaiian legislature and courts until 1893. By 1894, most of the offices in Aliiolani Hale were transferred to 'Iolani Palace across the street, leaving only the courts and judicial department. 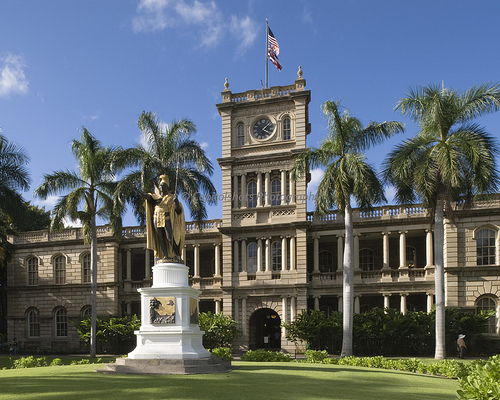 Today, Aliiolani Hale is primarily a judicial building housing the Hawaii State Supreme Court, the Hawaii State Judiciary administrative center, the King Kamehameha V Judiciary History Center (a museum featuring exhibits about Hawaii's judicial history), and the largest law library in Hawaii. 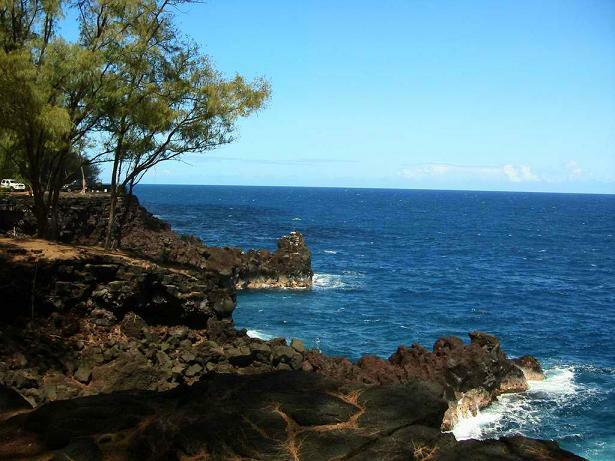 Located in the grounds is the famed gold-leaf statue of Kamehameha the Great, one of Hawaii's most popular monuments. 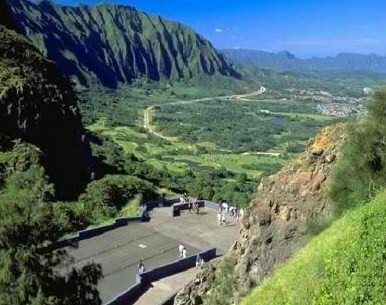 It was listed on the National Register of Historic Places in 1972 and has become one of the most important landmarks in Oahu. It is part of the Hawaii Capital Historic District which include other noteworthy historical structures such as the Cathedral of Our Lady of Peace, Hawaii State Capitol, Hawaii State Library, Honolulu Hale, 'Iolani Palace, Kawaiaha'o Church, Territorial Building, and Washington Place. Aliiolani Hale is located at 417 King Street in Honolulu, Oahu, Hawaii. The King Kamehameha V Judiciary History Center is open to the public for free, Monday through Friday, from 8am to 4pm.